Anna spent 10 years working in mortgages in London based firms before the crash in 2007 forced her to weigh up her career options. She decided to go back to university to study a part time degree in Law, whilst also working in a solicitor’s office to get some important practical experience. Anna graduated with a First Class LLB(Hons) Law degree in 2015. 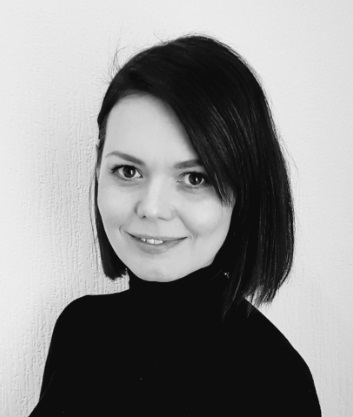 Anna joined AWB Charlesworth in May 2017 as a secretary in the residential property department whilst completing her LPC at Leeds Beckett in the evenings, having previously worked in criminal, family, litigation and intellectual property departments of other law firms. Anna completed her LPC in 2018 and started her training contract in January 2019. I’ve wanted to be a lawyer since I was young, but life got in the way and I didn’t fulfill my ambition until I was in my 30’s. My love for property – when I’m not at work you can find me on Rightmove looking at houses. I particularly like researching the history of a property and we often find interesting facts during the conveyancing process. What are your best personal qualities? I’m a real people person and consider myself to be very approachable. It has to be helping people achieve their goals. Buying or selling a property can be a very stressful time and I love to see people’s reaction when we complete their transaction. Spending time with my family, renovating my Victorian terraced house, going to the gym and relaxing whenever I have any free time!